St. Patricks Day is around the corner! Let's be honest, I don't really go out to celebrate and my acknowledgement of it is wishing my Dad a happy birthday. 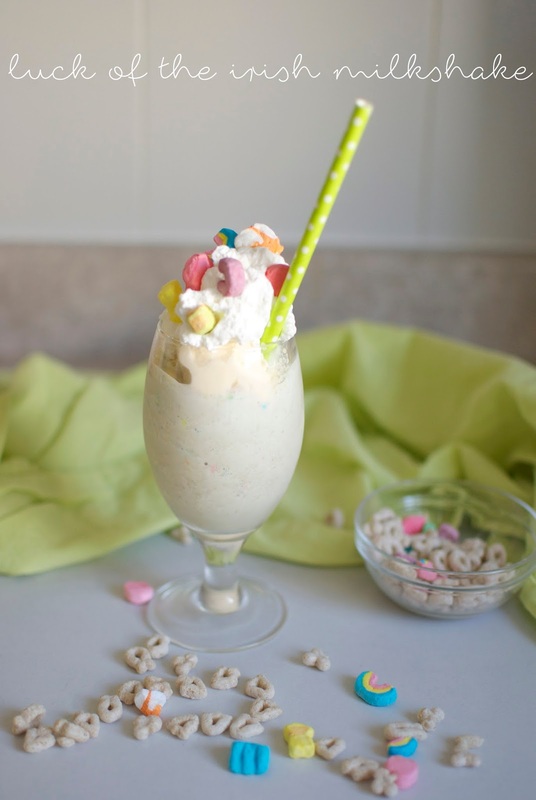 But to be really honest, who doesn't love any excuse to consume milkshakes and sugared cereal? Growing up we didn't really have sugared cereal around, so when I moved out on my own I was excited to have freedom in picking my breakfast of choice (which was always French Toast Crunch). 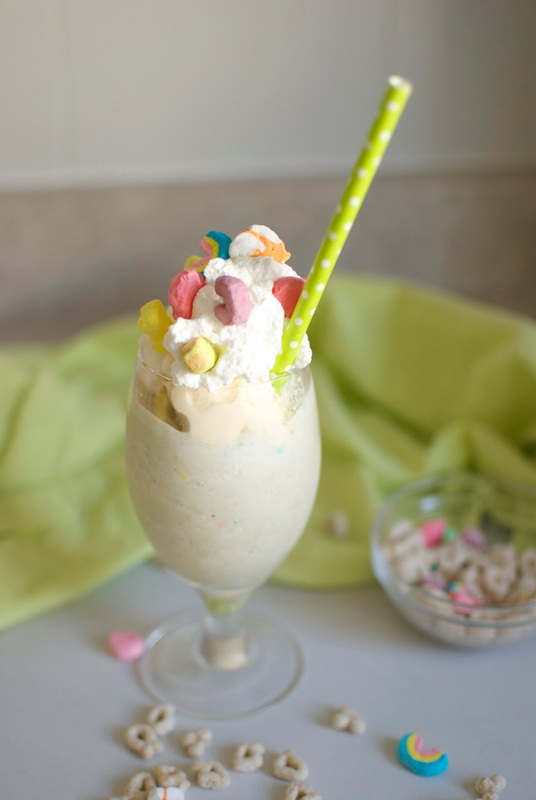 Until today I'd never even had Lucky Charms, but I knew that I could whip them into something magical. I suppose you could even swap the cereal milk out for a shot of your favourite alcohol and drink these all afternoon instead of green beer on the 17th! Or, even better...call this breakfast! 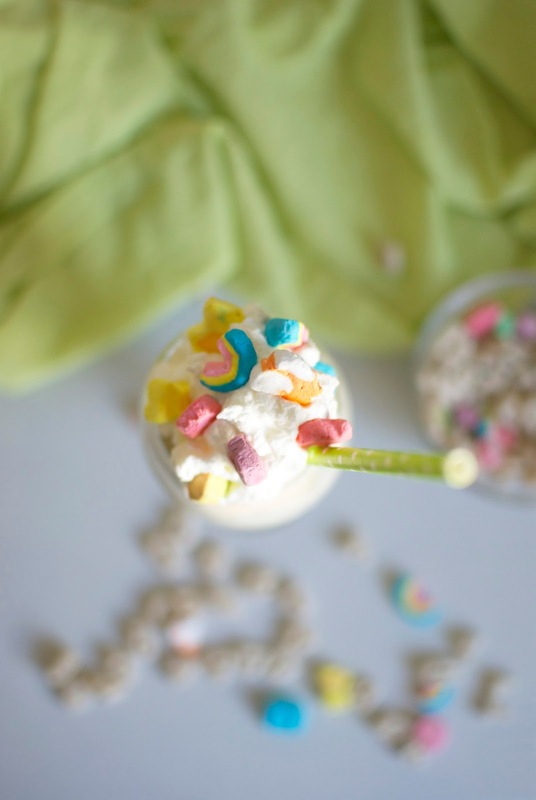 It's got cereal, it's got milk - what more could you ask for in a breakfast milkshake? 1. 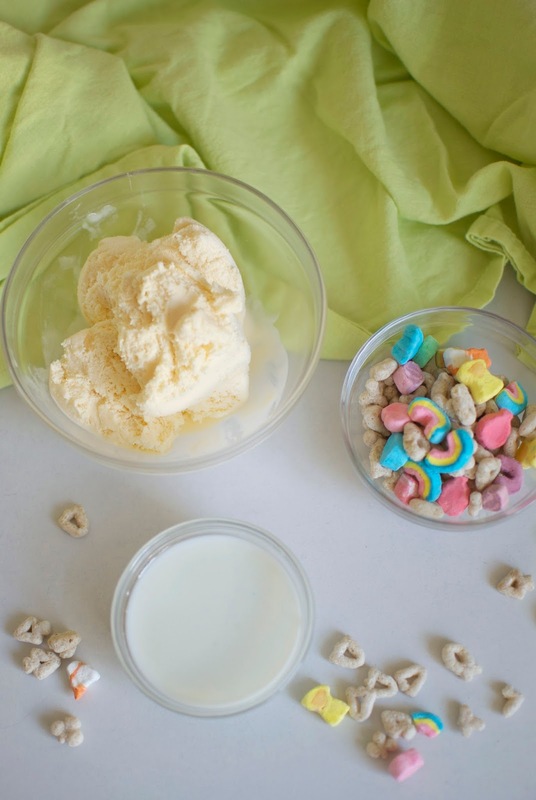 In a small bowl, add 1/2 cup milk and 1/4 cup of Lucky Charms cereal. Set aside. 2. Put your glass into the freezer to chill. 3.. In a blender, add 3 heaping scoops of ice cream. Drain cereal milk from bowl into blender, and add a few spoonfuls of the cereal. 3. Blend for 30 seconds. Pour milkshake into frosted glass. Top with one more scoop of ice cream, whipped cream, and garnish with remaining cereal.